Today, I felt like cataloging a simple at-a-glance, broad stroke comparison between some of the important weapon categories, going skill by skill and explaining the pros and cons of them. There are a few important edge cases here and there, and a few... less important ones? But I hope this can be a useful quick glance for new players that need help making a decision and don't know where to look to find all the details. Axe/Mace is an average difficulty skill, they have a modest reach. They are among the simpler weapons for beginners. They almost always have swing damage, meaning a respectable damage output for a modest investment. They are also often very inexpensive and some of the easier weapons to improvise, so in a situation where you don't have *your* axe or mace, you can probably find something that is similar. They also allow an off-hand shield or cloak as they are one-handed. Several have an unbalanced parry, meaning that parries are almost effectively off-limits in low level combat (there are exceptions though.) A lot of the weapons are also fairly heavy and require somewhat decent ST to use properly. Most are also incapable of hitting important targets like the the vitals easily. 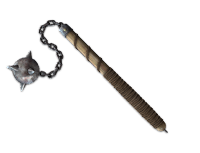 The Pick and related weapons is an important special case, it does swing impaling damage, which means a great deal of damage, but also means the weapon can get stuck, and it can take at least an extra turn to pull it out. Broadsword is an average difficulty skill. These are probably the most vanilla of vanilla weapons and a good starting point for beginners. Most broadsword weapons have a choice between a thrusting attack and a swinging attack, both have their uses, making broadswords pretty versatile. They also usually have cutting damage for the swing attack, which means bonus damage on top of already decent amounts. The impaling thrust attack of most broadswords allows attacks against the vitals. Broadswords tend to be among the more expensive weapons. Some of the more powerful weapons have unbalanced parries and can be moderately heavy. They tend to be difficult to find improvised equivalents for, so being caught without one and a backup skill is a trial. Flail is a hard difficulty skill and a fun choice for a slightly experienced player. ons are penalized against them. They also tend to be pretty cheap, and have decent damage output. Likewise, most flails are pretty bad at parrying, and have an unbalanced parry. Typical flails can be pretty heavy. 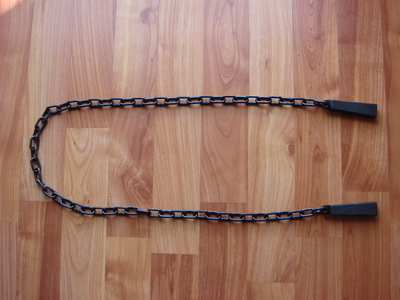 Some flails, like the nunchaku are especially light and have some of the pros and cons slightly compromised. Garrote is listed as a weapon skill, and you can almost certainly argue that it would be wrong to not call it a weapon, but it is an especially niche one. It can only be used from behind on an unaware opponent, so stealth is probably necessary. It can do a decent amount of damage safely if you find a situation to use it, but that is the trick. Read Basic Set - Campaigns p.405 for more detail. This knife is for hunting. Knife is an easy difficulty skill, and an ok one for beginners. Knives are very cheap, and being an easy level skill makes them one tier cheaper to get decent efficacy. Knives are also one of the few weapons to do well at close range fighting. They are extremely light owing to their size. Knives have unusually low damage. They also have a bad parry, and not the best reach, a catch-22 for their ability to work well in close range. Also, more subtly, the low ST requirement also means that maximum damage from high levels of Striking ST is capped pretty low. 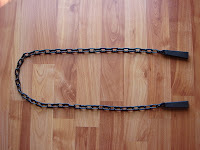 Kusari is a hard difficulty skill, and is something like a weighted chain. It combines many pros and cons of a flail and a whip. It is simple enough to be used by GURPS beginners, but I'd recommend having a small amount of melee weapon experience. It has all the advantages of a flail, and some of the advantages of a whip. It can be very long and hit targets at a great range. 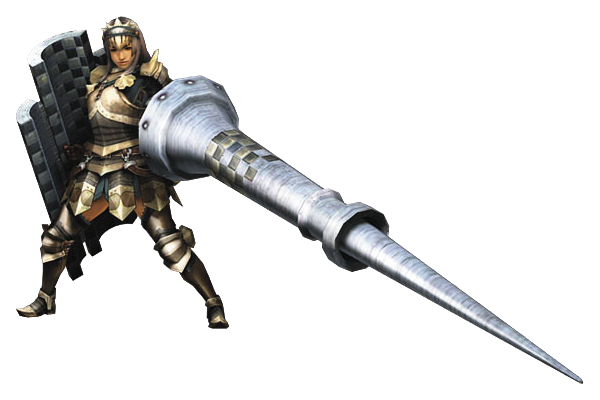 It also has the ability to entangle a weapon for free, if somehow an opponent manages to parry it. It is a very poor weapon in terms of defense, and has all the parrying difficulties inherent in a whip. Like a flail, it can be pretty heavy. It also requires a ready maneuver to adjust range. Lance is an average skill, I only recommend it if horseback fighting will come up, in which case, it is not an especially difficult weapon to use. Though the reach is good, the weapon is next to useless if an opponent slips within the reach of the weapon. It has no parrying ability, and it is very heavy. Polearm is an average difficulty skill, but has a lot of gotchas that might trip up a new player. Polearms tend to do very good damage and usually have the flexibility of both a swing and a thrust attack of different damage types. They obviously have excellent reach, and although not the cheapest, they are still pretty inexpensive. Polearms will almost always require two hands to use effectively, meaning things like carrying a torch, shield, or anything else will be out of the question. Most attacks tend to have an unbalanced parry, and the weapons are usually extremely heavy. Changing grip requires a ready maneuver in almost all cases, so Grip Mastery is a pretty useful perk. Rapier is an average difficulty skill, it has a lot of perks, but getting the most out of it requires a bit of understanding of the GURPS melee combat system. The weapon is pretty light, and can change ranges pretty easily. It has a fencing parry, which makes it pretty good for defending in most situations. Decent rapiers are expensive. They (usually) only have a thrusting impaling damage attack (though the optional tip-slash mechanic in Martial Arts helps a little) making their maximum effective damage not as high as weapons with a swinging attack. Saber is an average difficulty skill, it may be a good weapon for beginners if they can get ahold of a lot of money. 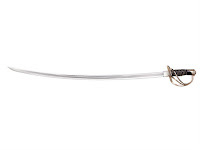 It has many of the advantages of a rapier, plus it comes with a swinging attack. Almost everything about the Rapier applies again, but Sabers are even more expensive, being among the most expensive weapons listed so far. Shield is an easy difficulty skill. I recommend considering it to anyone with a one handed weapon, especially if it has an unbalanced parry. Please don't click the link. 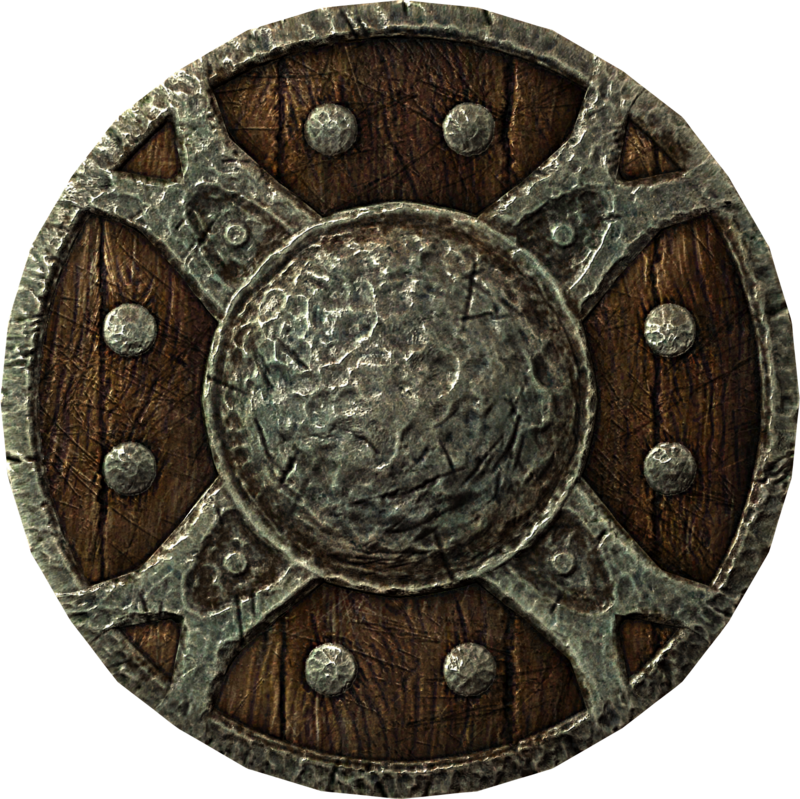 Shields help all active defenses just by carrying them, and they ignore the off-handed penalty, greatly increasing survivability. They also don't have a maximum ST cap, so damage can continue to increase even to higher levels. Using a shield bash instead of a slam gets comparable results with much less reciprocal damage. Shields are also pretty cheap. 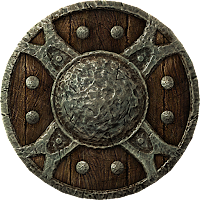 Shields don't really do good damage as a weapon, and very large shields can penalize your main weapon's attack (assumption: you aren't using a shield as your sole weapon, right?) but that can be addresses with a perk. If playing with optional rules, Shields are pretty easy to break. 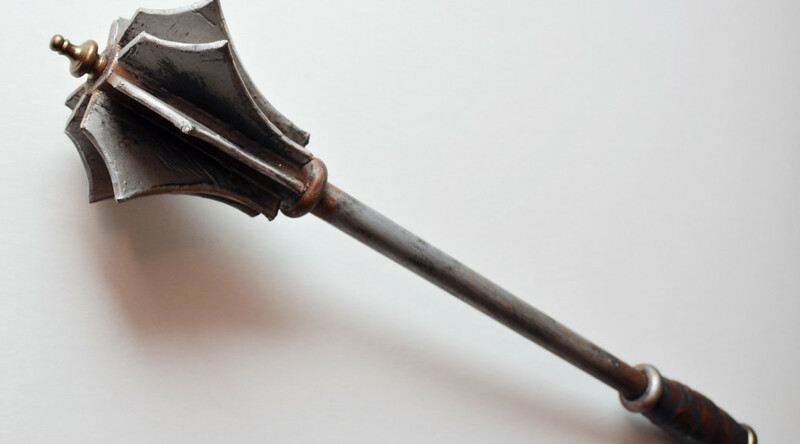 Shortsword is an average difficulty skill, and not especially difficult, though I don't recommend it for beginners as it has a somewhat wishy-washy existence as a jack-of-all-trades that might be difficult to capitalize on until one knows all the tricks to overcoming one shortcoming and maximizing a particular asset from situation to situation. Instead, try the knife or broadsword for similar, but more focused experiences. The shortsword has no outstanding weaknesses. The only real tangible pro is the low weapon weight. The shortsword has very few outstanding strengths. This is an average difficulty skill, and is the lightest and smallest version of the fencing weapons. I'd recommend this to a slightly more experienced player that can appreciate the advantages of a fencing weapon barely bigger than a knife. All the advantages of the other two fencing weapons still apply, making this weapon good for parrying, and it has decent damage. It's price is also on the lower end for fencing weapons. A low minimum ST keeps maximum damage low... I wonder how difficult it would be to mess around and stat out an SM+1 or +2 variant? Spear is an average difficulty skill, and is a decent straightforward choice for beginners in GURPS. 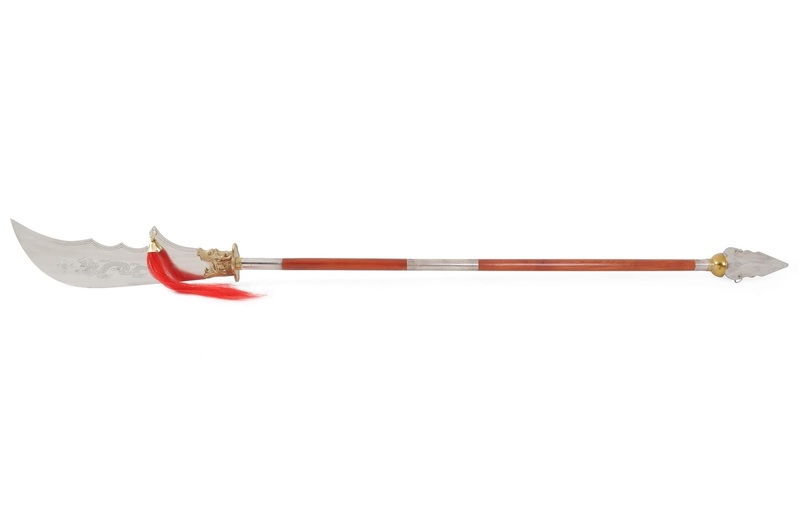 Spears have good reach, and decent damage, and are very cheap weapons, making it easy to acquire high level enhancements like a Very Fine, Balanced weapon. It's fun that it can also switch between one and two handed usage modes. Damage is limited to thrusting, the weaker of the two usual options. It is also impaling which is usually good, but can be a problem when dealing with homogeneous or unliving enemies, though, again, there is the option of the tip-slash. This is an average difficulty skill. I heartily recommend this skill to beginners. It has a lot of interesting advantages and some nuanced drawbacks that can help someone understand how some of the gears turn in GURPS. The weapons tend to be very light, allow switching ranges easily, and it does have good range, and it comes with good damage, not to mention it is cheap. The awesome thing about staves is they give +2 to parrying, making them immensely useful in keeping you alive. Also, with a hefty, but not totally unreasonable investment, it becomes possible to wield a staff in one hand. The weapon is two-handed, making it hard to use in dark conditions. It also can only do crushing damage, which, while paired with a decent damage increase, means little to no bonus damage (unless targeting the neck or skull) and fine or very fine enhancements don't increase damage. It's a little like a one-handed axe. This is an average difficulty skill again. I think for beginners, I'd recommend the one-handed variant first, for characters with a lot of strength, or with more experience, this could be a fun one to try. Most of the same things that apply to axe/mace apply to this two-handed variant... except that this is two-handed. That is, good damage, cheap weapons, and easy to find improvised variants. These weapons are very heavy and take up a large amount of the encumbrance budget! They also are unbalanced for parrying, and they take two turns to use unless you have 150% of the minimum strength to use it, which is somewhere from 17 to 20 for most of the examples in basic set. This is a hard difficulty skill. I'd recommend this for experienced players only because some of the trade-offs can be difficult to deal with. 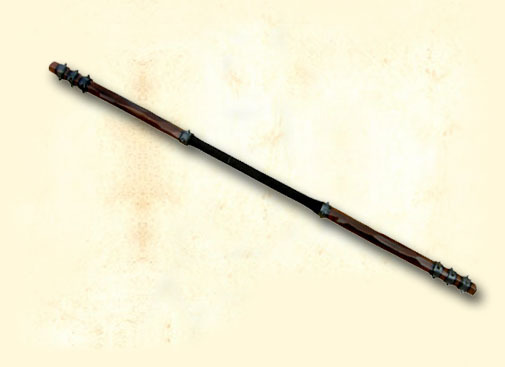 This is again, similar to the one-handed flail, but even more damage and a better range. Being a two handed, unbalanced weapon puts the player in a difficult position defensively, Gotta be good at dodging, or maybe get the Dwarven modifier on it from Dungeon Fantasy. This is an average difficulty skill. 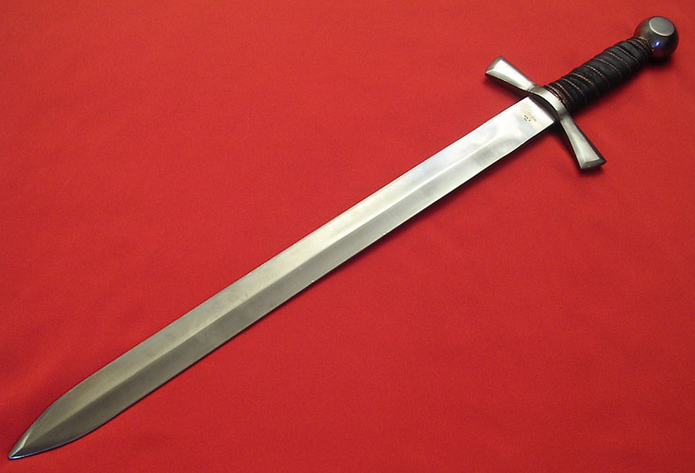 Holding true to the two-handed pattern, this is like a one handed sword, but stronger, most similarly, the broadsword. These weapons do very good damage and parry adequately compared to other two handed weapons. A lot of these weapons can be used in a one-handed mode with the broadsword skill, giving more versatility. They also usually have a nice reach and the ability to change reach as a free action. If I have a choice of using a weapon two-handed or one-handed, I prefer the one-handed variant. These weapons also tend to be pretty pricey. Whip is an average difficulty skill. I recommend against this skill for new players, it has some interesting nuances, but they require a good understanding of the combat rules. A character that wants to use a whip will probably need the crack technique for tolerable damage. Whips have a lot of interesting disarm abilities, and get bonuses for grappling weapons, and the ability to make an opponent drop a weapon from sheer pain. Whips can have an extreme range, especially rare for a one handed weapon, and are pretty inexpensive. Whips do very little damage by default, and are next to useless against armor. Especially long whips take a long time to ready, and changing between different lengths takes another ready maneuver. Fighting with a whip will almost guarantee that you will need to use some form of lateral thinking, and need a few special techniques and perks. This was intended to be a skin deep look at the basic categories of most melee weapons by skill, and targeted at new players. There are easily found exceptions to all these rules if you look hard enough, and some of these are straight opinions, so you don't need to take my word for it, just take a look at weapons in Basic Set, Low-Tech, Martial Arts, and Dungeon Fantasy if this summary is not satisfactory for you. If one tries to record their center of balance, footwork, attack and recovery it's only then they feel how slow a units of 50ms reaction time lag when using a particular weapon. Skallagrim does videos of the handlings for the weapon which is more applicable to gurps games then other game systems. Sounds like Something I should check out eventually! I really enjoyed reading this, thanks for the post! Nice overview! Seems like between Low Tech, Martial Arts, Basic, and High Tech, there's a considerable range of hand to hand weapons in GURPS. I like how some even hop categories. "Sabre" skill was a little weird, though. Seems to be more like Italian Dueling Sabres was their aim, like what became Olympic sabre fencing. 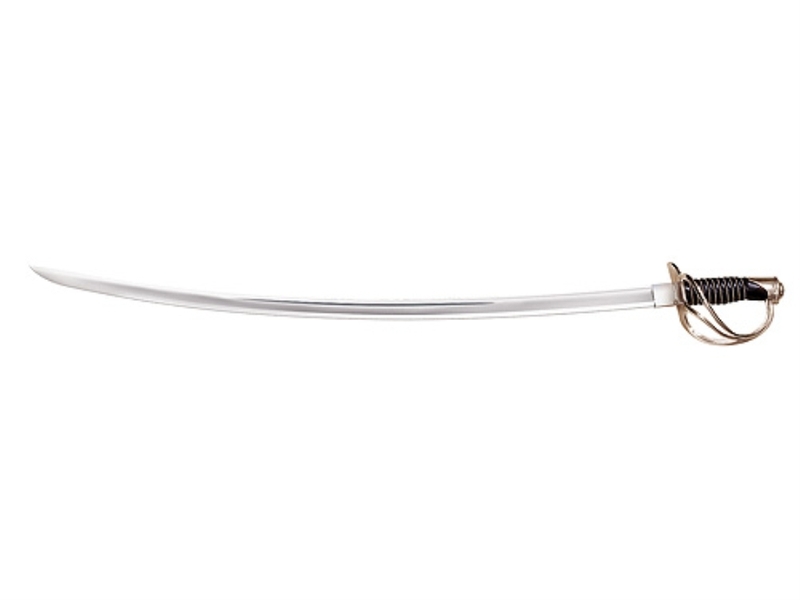 Surely, regular military sabres are simply Broadsword (and IIRC they're listed as such). I've been meaning to look around to see why Knife - alone - gets to be the Easy melee skill. One would think if anything, Axe/Mace (or even just Mace as its own skill) would be the one (or spear), but there's probably a good reason for it. Has the nice side effect of being a cheap backup skill, as well. A case could be made for just folding them into rapier, but there's definitely differences in how they're wielded. 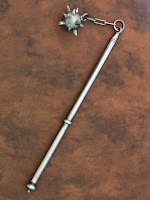 Not sure if you saw, but I also put in my 2 coppers on the whole "fencing weapon" extra rules on my blog some weeks back. To wit, I think they're ... a bit silly. I think I saw your post a bit ago, I need to check it out again. I kinda like the fencing rules regardless of realism because it feels like a fun way to differentiate sword a and sword b that isn't "one does more damage than the other." I really liked the embossing in the imgur gallery on the one sword. It kinda makes me feel like I need to treat the embellishments table in Dungeon Fantasy 8 with a bit more reverence. I'm guessing you're referencing the personal smallsword of Lafayette? It is a very nice one! As for the rules, I'd agree. I think I had that in the article, even. If it's just straight fantasy action-adventure, there isn't a real problem. If you want to run a more simulationist combat, then it starts to fall apart. Overall, my biggest guff is with flail parrying. There isn't any sense to it at all. As I mention, if I'm forced in a situation where I have to parry a flail, a rapier would be one of the weapons I'd *prefer* to have (reasons of hand protection), and yet GURPS penalizes them. SM+1 Smallsword: For when you need all the power of a rapier, but already put points in Smallsword. The Long Knife is the champion weapon for expert knife fighters.